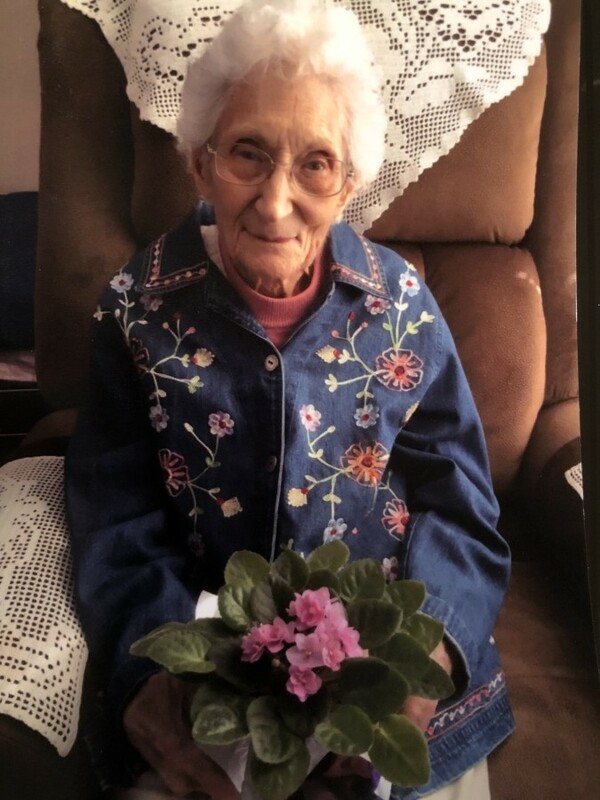 Florence Sutherlin Stanage, age 100 formerly of Harmony, passed away February 3rd, 2019 in Clarksville, TN. She was born April 10th, 1918 in Cloverdale to the late Emery and Flossie (Cox)Sutherlin. She was a member of the North Meridian Street Church of Christ in Brazil. She was previously employed by DePauw University in the registrar’s office for 18 years, and Lynn’s Pharmacy for 17 years. She always enjoyed cooking for family and friends. She is survived by her daughter Darla Warren and husband Rodney of Woodlawn, TN, and several nieces and nephews. She was preceded in death by her husband Art Stanage, and her siblings Fern Whitley, Guila Jackson, Little Ruth, Wayne Sutherlin, and Carl Sutherlin.